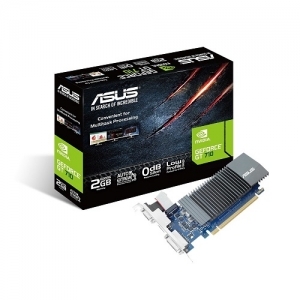 • Exclusive ASUS-designed heatsinks with large surface areas effectively cool graphics cards passively so absolutely no sound is produced while running - perfect for high definition and silent home theater PCs and multimedia centers. 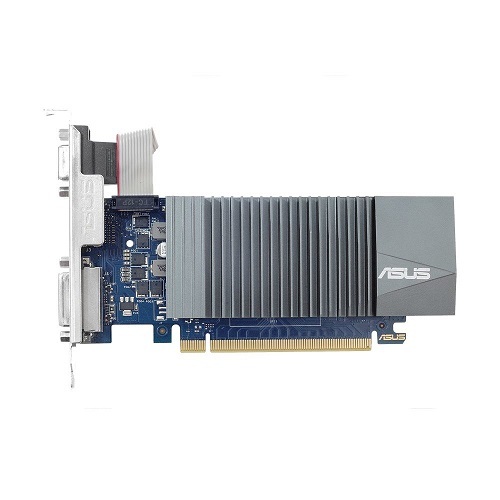 • ASUS graphics cards are produced using AUTO-EXTREME technology, an industry-first 100% automated production process, and feature premium Super Alloy Power II components that enhance efficiency, reduce power loss, decrease component buzzing under load, and lower thermal temperatures for unsurpassed quality and reliability. 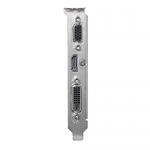 • GT710 is a compact graphics card with three outputs (HDMI, DVI and D-Sub) that can support up to three displays at the same time for convenient multitasking. • Redesigned with an intuitive, all-new UI, GPU Tweak II makes overclocking easier and more visual than ever, while still retaining advanced options for seasoned overclockers. With one click, the new Gaming Booster function maximizes system performance by removing redundant processes and allocating all available resources automatically.